Thumbshots Ranking offers an informative, yet fun way to make yourself familiar with search engines and learn how to optimize your site for better ranking. Proper use of this tool can go a long way in generating the quality traffic you seek. This particular SEO tool analyzes results from Google and Yahoo, identifies what they have in common, and them provides a graphical display of the results in both engines. SEOBench gives you a nice illustration which reveals that while optimizing your site for both Google and Yahoo is not necessarily an easy task, it is not impossible either. Link Appeal is a very effective tool that calculates the efficiency rating of having a link on a given URL. It relies on factors such as the number of outbound links, its page rank and the overall percentage of links to HTML. Link Appeal can serve as a great tool for helping you decide whether to request a link on a particular web page or not. The Link Popularity Checker is pretty self explanatory as it informs you on how many sites are linked to your own. We think you will find this tool quite valuable being that link popularity is such an integral part of the entire optimization process. The more popular your site becomes, the better it will rank in the SERPs. SEO Checker is an ideal tool for checking up on search engine saturation, which simply describes the number of pages a search engine indexes for a given website. While every search engine does not report this information, a fair share of them do, and this is enough to establish a few meaningful benchmarks for your SEM campaign. Google PageRank Report is something you can use to automatically check the ranking value for any URL you specify in the provided form. To get the best results, simple add “www” in front of the domain in question. This easy to use link calculator calculates the link value of your website on a monthly basis. 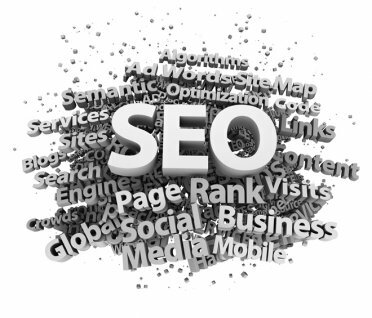 The value is calculated based on many essential factors specific to most of the major search engines. Keyword Research is a tool that can be used to research your targeted keywords and phrases, helping you determine which as best suited to implement into your web pages. All if you have to do is enter a given term or phrase, and the tool automatically makes additional suggestions regarding other words and phrases you should think about targeting. 9.) Google Keyword Suggestions – This handy Google orientated tool will aid you in the process of selecting popular and relevant terms that are related to your desired keyword. Simply enter a word, and the tool queries data from a number of Google searches, which it then uses to determine the most relevant terms used by websites in that particular niche. Like anything else, there is a learning cycle associated with PPC marketing. Many people who use pay per click marketing lose money, so you should not assume your competitors know what they are doing, (especially if they are a large corporation like Wal-Mart). Many business models cannot support pay per click marketing, while others rely on PPC marketing. Many successful marketers and webmasters use both PPC and SEO with each other. The only way to be sure of the value provided by each is to test and track the results. Great list! I’ve also seen Google Adwords’ Keyword Tool … How does it compare to the top 9 you ranked?